Jump in the car and travel an hour to Los Angeles, where a taste of different cultures, panoramic views and movies under the stars can all be experienced on a budget. California Baptist University students and Los Angeles natives may have their favorite spots in the city away from typical tourist destinations. 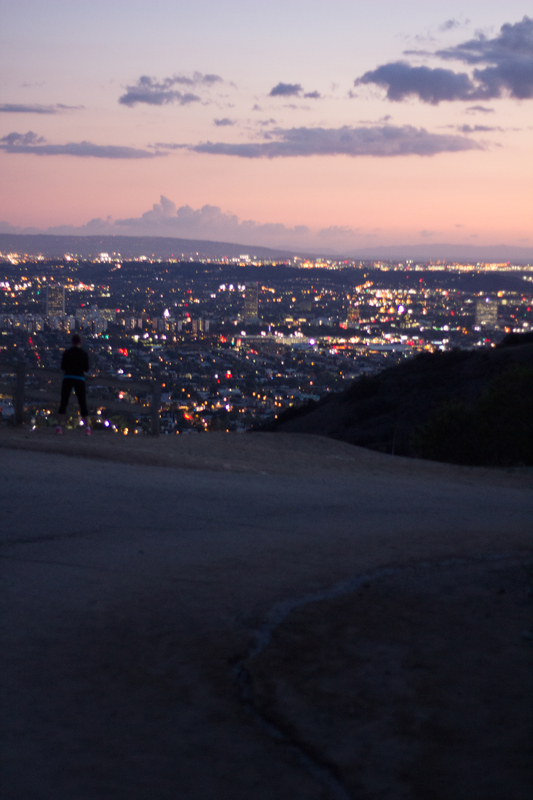 Students can start the trip with a view of the city from the top of Runyon Canyon. This 130-acre urban hideaway is tucked among the hills of Hollywood off of Mulholland Drive. Baylee Vanbeekom, sophomore psychology and sociology double major, describes Runyon Canyon as one of her favorite hikes. Los Angeles’ mixing pot of cultures allow visitors to find any meal to suit their cravings as taco trucks parade throughout the city. Taco Zone resides on the corner of Alvarado and Montana in Echo Park between the hours of 8 p.m. and 2 a.m. The trailer is a favorite of many residents who flock to the truck for salty carne asada, suadero or rib meat and the perfect touch of salsa. Tacos are $1.50 and quesadillas and burritos are $6. Bryon Ramos, junior marketing major, said he enjoys the diversity of Los Angeles. The cities of Pasadena and Glendale are favorites of his. A Los Angeles tradition in which students can take a part is to experience outdoor movies. Companies like Street Food Cinema and Cinespia provide local events throughout the year all over Los Angeles. Cinespia’s most famous events happen at the legendary Hollywood Forever Cemetery for $20. Street Food Cinema has more locations but smaller venues at $12. Both companies offer live music before the event and a relaxed picnic style atmosphere. Cinespia holds severalfood tents and Street Food Cinema is accompanied by rows of food trucks. Tiffany Schiro, sophomore psychology major, shared why she loves Los Angeles and said she is proud to call it her home. Los Angeles stretches from Downtown to the San Fernando Valley with sites and food for everyone.